It is not just the smartphone that helps people connect or communicate with each other. Another very important tool that helps people communicate with and within cities, workplace and home is mobility. Mobility is actually the movement of people, information, services and products from one destination to another. It is that important tool that not just connects cities with cities but nations with nations. However, the traditional mobility system functioning in cities today is the largest contributor of decreased air quality, greenhouse gas emissions and air pollution. Sao Paulo and Rio de Janeiro had to lose $43 billion in total in the year 2013. While, air pollution and traffic congestion in Beijing are calculated to be equal to 7-15% of the GDP. On the other hand, Germany has already sacrificed 5% of the total land available in building roads and 1,200,000 of people die in traffic worldwide which mostly includes cyclists and pedestrians. We have put here the most intolerable mobility affects that is taking toll on our lives as well as the way we work, live and think – yes, it also has a negative impact on our minds because neither we get enough oxygen to revive nor we get time to pause and think better. We definitely do not visualise a future for our smart cities with such incorrectness. So one option that brings opportunity to overhaul our traditional mobility system is ‘smart mobility’. 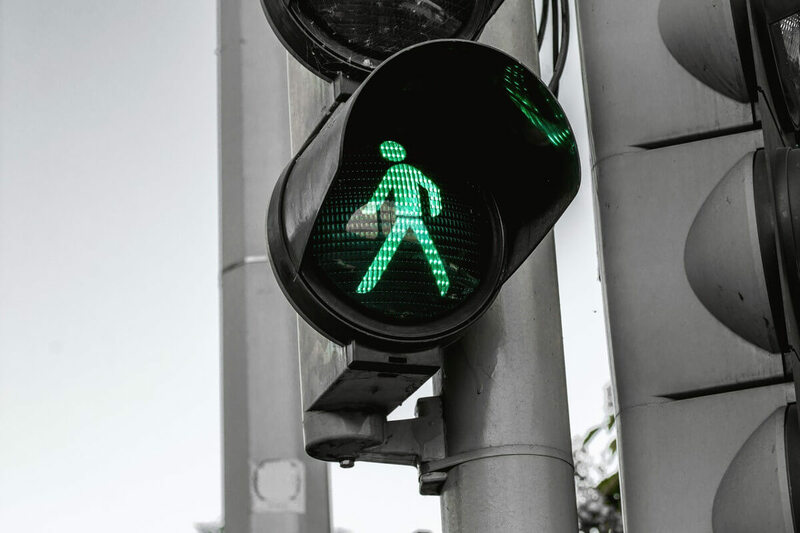 The tool of smart mobility can help us build sustainable cities with seamless, flexible and efficient movement across various modes of transport. So, that begins with checking out the advantageous features of smart mobility in the smart cities. It has already been verified that building more roadways cannot give a concrete solution to congestion and bottlenecks. 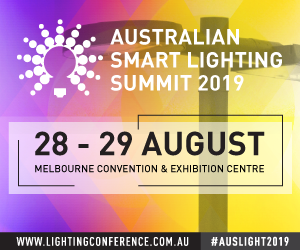 And, it has also been proved that improving the use of existing infrastructure integrated with smart connectivity, intelligence and automation have boundless opportunities to rethink over our entire way of the transport system. So why not actualise our perspective towards attaining that one goal. According to the IT company Siemens, switching to a multimodal transport system offers higher flexibility and convenience. “Hassle-free usage of multiple modes of shared and public transport will be key for inner-city areas”. Smartphone – The apps(Example – Next One) on the smartphone help you to plan an efficient yet flexible trip for the day and provides the innumerable options that can save you time and money. Every public transport, rideshare, metro arrivals and departures are on your mobile screen with a single tap. At the Metro Station – While you arrive, your smartphone lets you know that the metro is running two minutes late. On-street Parking – You need not waste time in circling around to find a parking space because you have already booked an on-site parking space in advance. 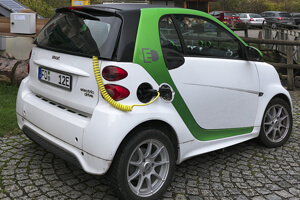 Smart Infrastructure – The E-car receives information related to speed limits and operates accordingly. Electric Bus Service – You went to spend some leisure time with friends in the evening and got the electric public bus service that moves across the city with flexible hours and greater location accessibility. Smart Billing – At home, you get the bill on your smartphone for the multimodal system you used throughout the day. You pay the bill with just one click. Now, compare the way you travel through the city today for various purposes with the multimodal way of travelling explained above. It definitely makes a huge difference. Here we are not just considering the integration of smart technology but we also opt for transport options that run on renewable energy and provide sharing or pooling options. One of the best examples that can improve mobility in cities is Bus Rapid Transit, in short, known as ‘BRT’. This kind of smart mobility has a definite lane designated only for the public buses in the city. It has multiple advantages – the cities have witnessed that BRT helps cut down congestion and also increases traffic safety. Such transport systems improve the economy, offer commuters to travel safely with cheap rates and also curtail the risk of traffic accidents. Just one lane out of six lanes constructed for BRT Metrobus in Mexico City has saved $141 million in economic productivity. Other benefits of BRT include reduction of air pollution and greenhouse gas emissions. In addition. the smart urban mobility turns out to be a boon for low-income individuals in the city. 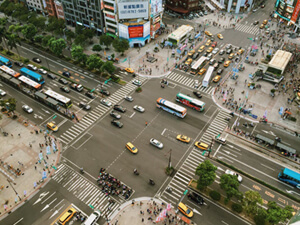 Reasonable, flexible, efficient and connected mobility systems build seamless networks that allow people to link to urban jobs, education and other opportunities. It expands the accessibility of an individual within the city limits and beyond. For example, the Medellin’s Metrocable system (discussed in a previous blog) has completely altered the journey from the slums of the hilly regions to the city centre. A tiresome day-long journey has transformed into a 30 minutes exciting journey. The Medellin’s Metrocable has given a new door of opportunity to the underserved people to live a higher quality of life. 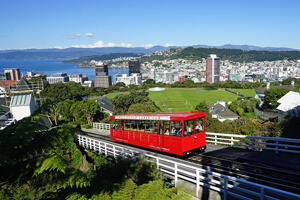 In the recent years, New Zealand has witnessed a paradigm shift in the mobility system. The nation is one of the leading renewable sources of electricity and has used it in switching to better mobility options. Biofuels and electric vehicles – Natural Resources of New Zealand are ready to fuel the electric fleet of vehicles integrated with biofuel. Additionally, Z Energy is a public initiative that has committed to producing biofuels for the electric fleet models. Public Transportation – New Zealand is promoting the use of public transport over the personal vehicles. Portland, New York, and Melbourne have been the inspirational models for the nation to solve the challenges in public transportation. Ride share – The country has realised that the opportunity to reduce carbon emissions lies in making a better use of vehicles which are already on the roads. For example, a ride share service ‘YourDrive’ lets the people rent a car from the neighbourhood. And, ‘findatruckload.co.nz’ site helps New Zealand in identifying the empty trucks on the roads available for use. 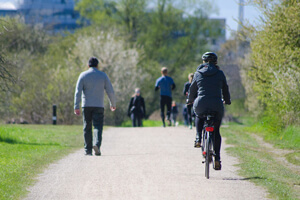 Fewer Vehicles On The Road – New Zealand is focusing on multimodal transport infrastructure with one of the primary interest in promoting walking and cycling as far as possible. The nation is initiating development of bike and cycling infrastructure to combat congestion and emissions effectively. Having discussed what smart mobility can give us, it is very important that the cities and the citizens make use of smart mobility wisely. A place that is a just walkable distance away shouldn’t be accessed through a electric car – that is definitely not a part of sustainability. Instead, people should choose the healthier way of walking or even cycling as much as possible.